Dipping fruit in honey before dehydrating it will extend the shelf-life of the dried fruit. It does add calories so you might not want to make it your go-to pre-treatment for dehydrating food. If you have a bland batch of fruit to dry, using honey can add a little life. Here's how we do it. As that six month old jar of perfectly edible jelly in your fridge demonstrates, sugar is an excellent preservative. Dipping fruit slices in honey before dehydration serves to both better preserve the fruit by increasing sugar concentration of the final product, and also adds a nice kick of sugary deliciousness. Beware that honey-dipping your fruit will turn it into a high-calorie food. For space and weight-conscious long-distance backpackers looking to pack the most calories into every bite, (and for sugar fiends in general) this is a great method to add some magic to your dehydrated fruit. For sulfite-sensitive individuals, this is another good alternative to sulfites for pre-treating fruits before dehydration. Dissolve 1/2 cup of sugar in 1 1/2 cups of boiling water. 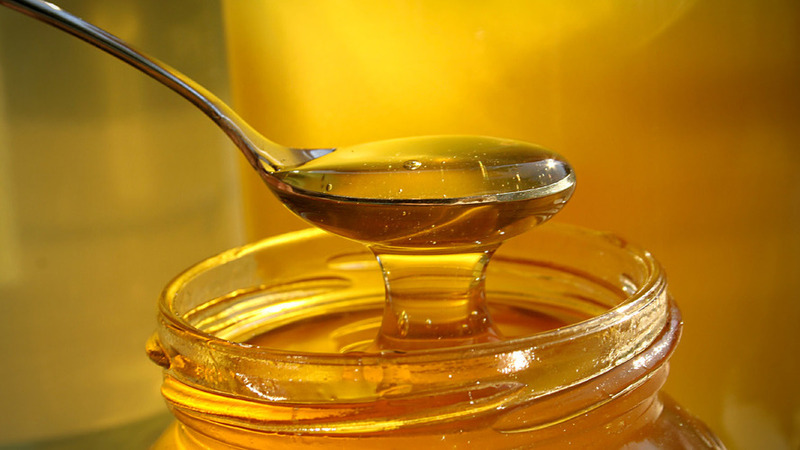 Allow the sugar water to cool until it's warm to the touch, and stir in 2/3 cup of honey. Soak the fruit in the honey dip for 3 minutes, drain, and place in drying racks. The honey dip coats and sticks to the fruits. It does not get "exhausted" like the ascorbic acid dip, and you do not need to replace it before it gets used up on the fruit.